Saria from Ocarina of Time is a good childhood friend of Link’s from Kokiri Forest. The illustration of Saria to the left was submitted by Ruina from Japan who created some great artworks for Link’s Blacklist as well. It is great to see her coming back to our art projects again and again! Later in the game, Saria becomes the Sage of Forest after Link defeats Phantom Ganon in the Forest Temple. 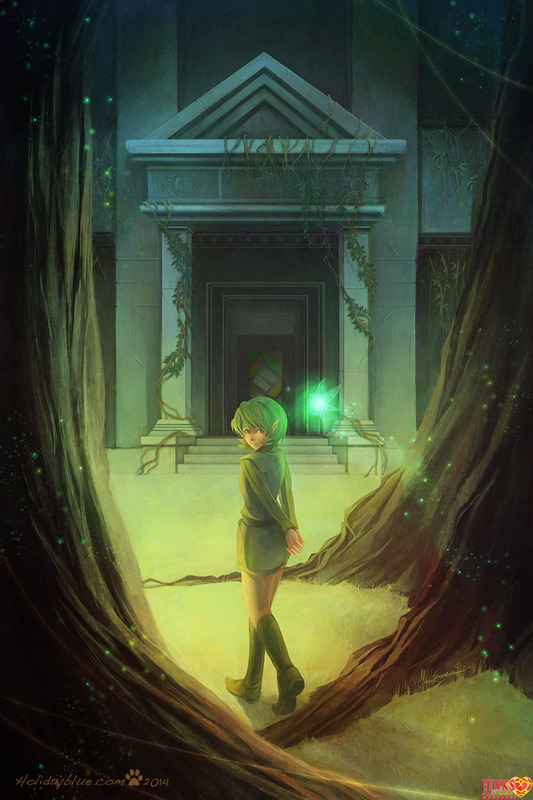 Our second illustration of Saria was drawn by KasumiCR from Australia, another previous contributor to Game-Art-HQ. She tried out the “Art Nouveau” style for the first time and I am glad that she participated in Link’s Friendlist! 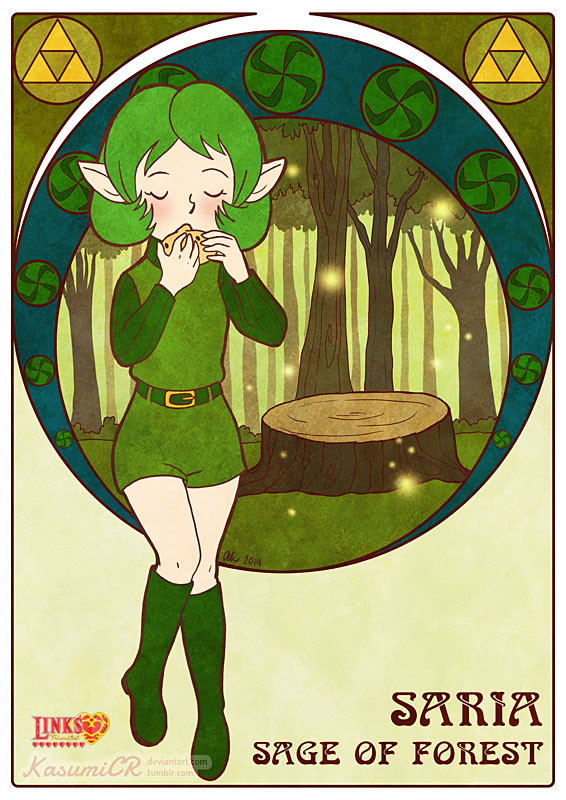 As you can see in the image, Saria can play the ocarina too. She plays a lively, upbeat song that inspires people to dance called Saria’s Song. Little Known Fact: Saria shares her name with one of the towns from The Legend of Zelda II: Link’s Adventure. According to the complex chronology of the series, this town was named after her.